The best BYOB restaurants in Montreal : where to go ? The BYOB trend, or Bring Your Own Bottle, started to gain popularity several years ago. This practice of self-selecting wine exists in many different countries, but found its way to Quebec in the 1980s. The sweeping trend emerged when restaurant owners caught onto their customer’s desire to engage more in the dining experience. They started allowing diners to bring their own bottles of wine, and these establishments were quickly reinvigorated. Nowadays, the BYOB is far from what it used to be. As with most other trends in the Montreal restaurant industry, BYOB has evolved at an exponential rate. BYOBs are everywhere nowadays, so it can be hard to sort the great from the mediocre. That is why we have compiled a list of our favourite BYOB restaurants in the city! Whether you’re working with a smaller budget, or just have an all time favourite wine, the BYOB trend is a great way to spice up your dining experience. This list of the best restaurants to bring your own wine is sponsored by ReZin. ReZin specializes in the curation of high quality wines, originating from regions all over the world. They use their expertise in the terroir, experience, and knowledge of the fruit to distinguish each bottle. ReZin helps make navigating the complex world of wine and private imports easier. Especially when searching for the right bottle to bring to a BYOB! If you are a fan of the BYOB establishments, Tastet has also prepared a summer list of the best restaurant terraces Bring Your Own Bottle, as well as a list of 7 Tastet favourites for BYOB restaurants. For more suggestions, consult our category BYOB. If you know of any other addresses that deserve to be on our list of the best BYOBs in Montreal, let us know: info@tastet.ca. Here is our list of the best restaurants to bring your own wine in Montreal ! La Prunelle is an amazing BYOB restaurant on rue Duluth. The decor is pretty and elegant. In summer, all of the restaurant’s windows open and the atmosphere becomes filled with sunshine. The menu at La Prunelle is quite elaborate. As a starter, you’ll find Tartar, a vegetarian dish, octopus, and blood sausage. As a main course, cod, duck breast, braised beef scoter, veal T-bone and veal sweetbread. There is also the possibility of having a tasting menu or group menu. If you have sweet tooth, there is also great dessert menu! The restaurant is open every evening from 5:30 pm to 10:30 pm. Tandem is definitely one of the best restaurants in Montreal, and one of our favourites! The establishment offers a French-inspired cuisine in the heart of the Villeray area. At Tandem, you can enjoy original and tasty cuisine in a welcoming and friendly atmosphere. Chef Pascal Turgeon and his team prepare dishes inspired by the flavours of the season. His wife Ericka Soleilhac and her team take care of the dining room, providing generous and quality service. 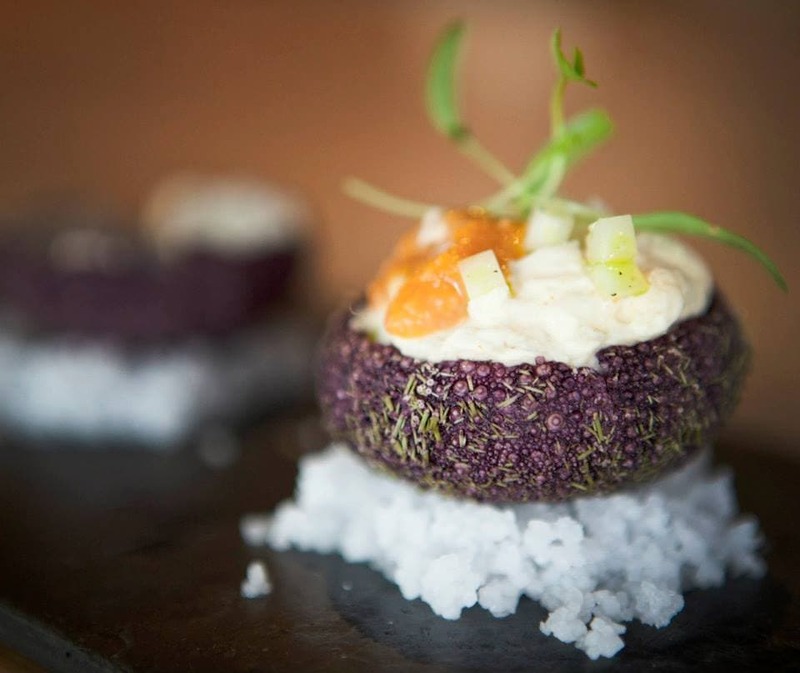 Tandem restaurant is a beautiful address to enjoy a delicious and creative tasting menu. Open Tuesday to Saturday, except for special events and groups. État-Major opened in October of 2013, lead by the same owners as Headquarters. Co-owner and chef, Nicolas Ficuciello and his team, will take care of all of your culinary desires. They offer a seasonal and fresh market menu, served in the ambiance of a classic French Mediterranean bistro. However, the chef’s Italian roots are certainly noticeable in the menu. Ficuciello’s motto is “As long as you have fun cooking, you have fun eating”, and it comes across in his cooking. The service is welcoming and the atmosphere is festive. Open every evening from 6pm to 10pm, and lunchtime from Monday to Friday from 11:30am to 2:30pm. Restaurant Grenadine became one of the best restaurants in Montreal in 2009 when chef Alex Duchastel de Montrouge joined forces with chef Nicolas Beaupré. The duo took over the kitchen at this quaint address, and the result is amazing. Grenadine now offers local Montreal cuisine with classic French accent, all in a relaxed atmosphere. You can enjoy dishes with colourful flavours and appreciable portions. Open in the evening from Wednesday to Saturday from 17:30. Les Canailles is located in the Hochelaga-Maisonneuve district, and is a very pleasant spot with a warm and festive atmosphere. The house offers bistro dishes with Mediterranean influences. On the gourmet side, you can enjoy tartar, foie gras, bavette, risotto, fish and ravioli. This restaurant is ideal for those who like to bring a good bottle of wine and eat great food at an affordable price! The establishment also offers a pretty terrace in summer – it is part of our list of terraces BYOB Montreal! Prince Restaurant is a delicious new BYOB restaurant on Rachel Street East. It’s both smaller and more upscale than your average date night location. If you are looking for a romantic evening or an evening with friends (small groups), we strongly recommend trying out this spot! Prince is certainly among the best BYOBs in Montreal. Here, you will enjoy a refined cuisine full of rich and diverse flavours, and will be served by friendly professionals and connoisseurs. The restaurant is open from Tuesday to Sunday from 6pm to 10pm. Quartier Général is one of the busiest BYOBs in town; it is a sure bet. Since its opening in 2009, this place has been packed at noon and night. In the heart of the Plateau-Mont-Royal, Le Quartier Général restaurant is ideal for enthusiastic gourmands; the cuisine is friendly, yet still has a seductive flare. In a room of about fifty seats, you’ll find a simple and charming decor with an open kitchen. Quartier Général is open every evening from 6pm to 10pm, and lunchtime from Monday to Friday from 11:30am to 2:30pm. Established in Verdun in September 2012, Wellington is definitely one of the best restaurants in Montreal. In a simple and refined setting, adorned with photos from Quebec’s national archives that depict the evolution of the Verdun district, you will be impressed by this space. The restaurant offers a seasonal bistro menu, which changes according to the produce arrivals. Here you will find delicate and tasty dishes, making every visit a pleasure! Especially with such friendly service and soft music where you can hear yourself talking, everything about Wellington is charming. Open every night. Restaurant Christophe offers both classic French cuisine and market cuisine, where local products take centre stage. Here, you can eat fresh fish of the day, duck confit au gratin, smoked beef filet mignon, ravioli from Boileau deer or a braised lamb mouse. In a cosy and relaxed atmosphere, the restaurant offers the second floor for small groups who wish to celebrate a special occasion. Restaurant La Colombe is one of the best restaurants in Montreal- it’s a classic in this category! We love this spot for the consistency and precision of the classic recipes, all based around market cuisine. The restaurant La Colombe is still thriving after years of operation. There is nothing better than being able to count on a high quality meal and pleasant service and surroundings. Classic décor makes the space feel comfortable. Open from Tuesday to Saturday evening. For several years now, Côba sushi restaurant has been offering contemporary Asian cuisine. Located on Laurier Street West in the Outremont district, this restaurant serves high quality food day and night. On the menu, you will find an impressive array of soups and Asian style tapas. This spot also offers several main courses including chicken, beef, seafood and noodles… and of course, a superb sushi menu! This small bistro on Villeneuve Street East in Plateau Mont-Royal, offers a contemporary cuisine. With about forty seats, the decor is simple, but the magnificent photos of the neighbourhood on the walls add charm to the environment. 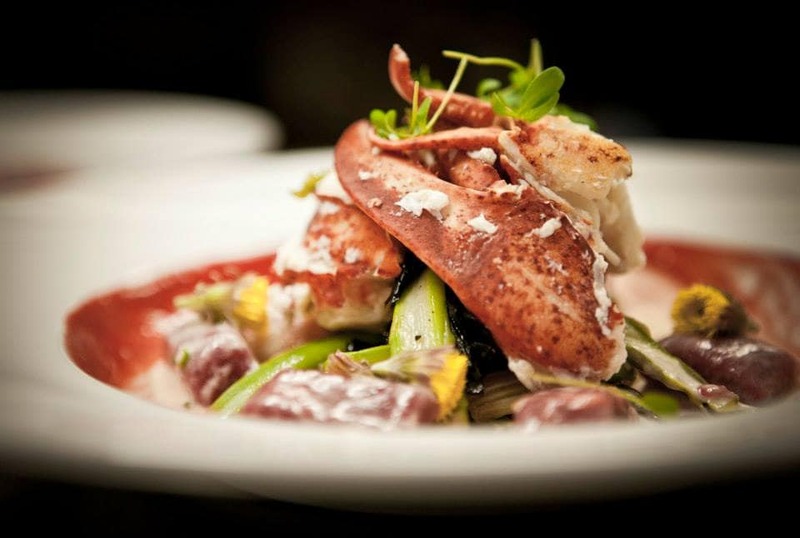 On the menu, you will find seafood, beef tartar, risotto and duck, among others great dishes. The house offers a six-course tasting menu for $52. Pho Viet is a small casual family restaurant, known for its delicious Vietnamese cuisine. The dishes in the house are prepared with love and simplicity and the owners are very charming. Open for decades, the address offers authentic and very tasty cuisine, including one of the best Phở soups in Montreal! The atmosphere is welcoming and warm; you’ll feel welcome as soon as you step through the door. Khyber Pass is a friendly restaurant on Duluth Avenue, and it is part of our list of the most beautiful terraces in Montreal! Here, you can eat comforting Afghan cuisine, with incredibly unique colours and spices. The portions are very generous and the prices are affordable. The restaurant is decorated with plants, carpets and colourful murals, adding to the comfortable environment. The address is unpretentious, always crowded, and one of the best bring your own wines in the city. Not only is Chand Palace one of the best BYOBs in Montreal, but it’s also one of the best Indian restaurants! We appreciate the place for its varied menu, and especially for its exceptional thalis. The menu offers many selections of dishes, and lots of vegetarian options. Save room for a Malay Ras if you can! Chand Palace is always a pleasant outing; the service is fast and the prices are very affordable. Open every evening of the week. In the heart of the Plateau, owner Mohand welcomes you to his home to feast on fine North African cuisine. Here, you will taste traditional Berber dishes, and probably the best couscous in town! The menu features everything from lamb, chicken, merguez , salads, bricks and other delicacies. The smell of the restaurant will make you hungry as soon as you arrive, and the place offers one of the most beautiful terraces in the summer time. They are open from Tuesday to Sunday evening. Bombay Mahal is one of the best Indian restaurants in Montreal. 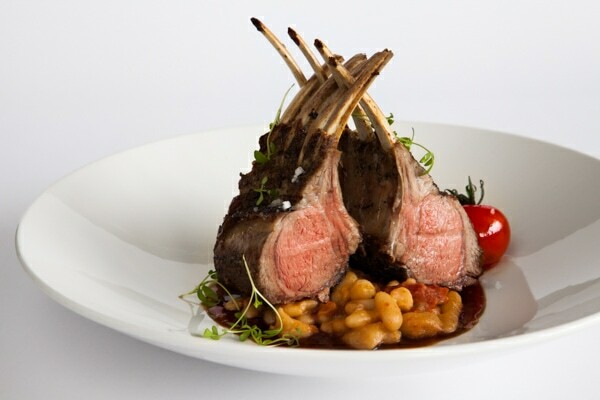 At this restaurant, you will be transported to the Chef’s home region through amazing flavours and specialty dishes. At Bombay Mahal, you can enjoy vegetarian dishes, an excellent butter chicken, lamb, seafood, tandoori, thalis and biryanis. The decor is minimal, but the plates are very tasty. In the heart of Parc-Extension, this address BYOB is really worth a visit! Nestled in Little Italy, Pizzeria Napoletana has been making Neapolitan pizzas for three generations! The restaurant is on our list of the best BYOB restaurants, as it offers good pizza with a fine and crispy crust, served with an amazing homemade tomato sauce. An ideal place to enjoy a pizza with a good glass of wine of your choice. We also recommend their sausages and meatballs. The Maison de Seoul prepares Korean classics with authentic flavours. We like the friendly and relaxed atmosphere here, which matches the BYOB trend. The menu includes a wide variety of soups, noodles, savoury pancakes (! ), kimchi, stews and traditional Korean dishes. Without any pretensions, the establishment is an amazing place to eat delicious and affordable Korean dishes. We highly recommend! Located in the heart of the Rosemont-La Petite-Patrie district, La Rose des Sables offers great cuisine with Tunisian and Mediterranean influences. On the menu, you’ll see delicious couscous, tagines, salads, and ojja. 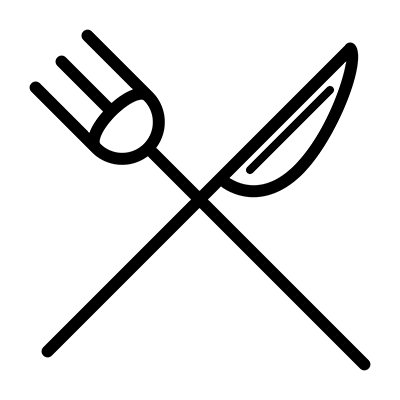 The house offers a table d’hôte (for about thirty dollars), which includes couscous (with lamb, chicken, merguez or vegetables) served with a chef’s salad, brick, mint tea and dessert. We love the place for its tasty and comforting dishes. In the heart of the districts of St-Henri and Petite Bourgogne, Gracia Afrika offers a delicious and tasty Congolese menu. Bibi Ntumba, the owner and chef, welcomes you to a small, colourful and warm restaurant. On the menu, there is grilled fish, chicken with peanuts, simmered dishes, dishes baked in banana leaves, and several other Creole specialities. We recommend this place for its friendliness and delicious food! Opened in 2011, the small Thai Sep restaurant welcomes its guests in a simple and friendly setting to enjoy delicious Laotian and Thai dishes! Owner chef Anouxath Siyavong prepares the cuisine with the authentic flavours of his native countries, and the result is incredible. Note that in addition to being a very good BYOB, this place is also one of our favourite spots to eat beautiful, tasty and cheap food in Montreal! A small bistro located in the heart of the Petite Patrie, Lannes et Pacifiques proves the myth that gastronomy cannot go hand in hand with wine wrong. It serves a French-inspired cuisine as colourful as it is tasty. The atmosphere is in harmony with the service as she does everything to make it easier for them to get through the fine mouths. We particularly love their pleasant terrace on Beaubien Street, when the weather permits. For many years now, the inhabitants of the Plateau Mont-Royal have been going to Le Pégase, bottle in hand. Chef Michael Audet-Laparé leads his kitchen in creating a fine French cuisine. We go to this address to taste the mastery of the classics (foie gras, rack of lamb, etc. ), but also to appreciate the originality of some of his new dishes. However, what always keeps us returning is its warm and relaxed atmosphere. Far from the city centre, Millen resides on Promenade Fleury in Ahuntsic- and it is worth the visit. This small neighbourhood restaurant offers a fresh and original cuisine, but above all, consistently delicious food. The friendly and charming décor allows you to sip a glass of wine while keeping an eye on your company, and another on the cooks as they work in the open kitchen. Les Héritiers offers fine French cuisine that combines lightness, finesse and generosity. Located on Mont-Royal Avenue, the restaurant offers a friendly atmosphere at both lunchtime and in the evening. We suggest the excellent 5 course menu at the price of $54, and you can expect to be served by a pleasant and attentive team. L’ Entrepont has been charming the inhabitants of the Plateau Mont-Royal since 1985 with its classic bistro-style French cuisine. In a setting that transports us to a pretty and cozy Paris promenade, it is the team in the dining room that makes every visitor feel like a regular. With white walls and blue moulding, the Garden of Panos teleports us straight to Greece. The cuisine is simple and offers a variety of Greek classics- the charm lies in the deliciously authentic execution. However, the cup of grace is at the back, where you can find an adorable terrace in the warmer seasons! Il Bazzali is the amalgamation project of Davide Bazzali, as he brings together the culinary traditions of France and Italy. In addition, the restaurant, located a stone’s throw from the Beaubien metro station, is getting a makeover! A visit is certainly essential! This friendly little french bistro, located on rue Parc, is owned by Chef Jérôme Chatenet. It has been a BYOB since 2013, and this gourmet address has since developed a loyal clientele. As is for most of their diners, going there once will have you already scheduling your next visit! Luna is an excellent Korean restaurant located on the Plateau-Mont-Royal. Chef Hyun Seok is responsible for the house’s excellent dishes, which faithfully reflect Korea’s gastronomic traditions. We love their excellent homemade kimchi, dumplings, bibimbap and Korean pancakes. Everything here is fresh, tasty and very colourful. The charming address also offers vegetarian and gluten-free options.